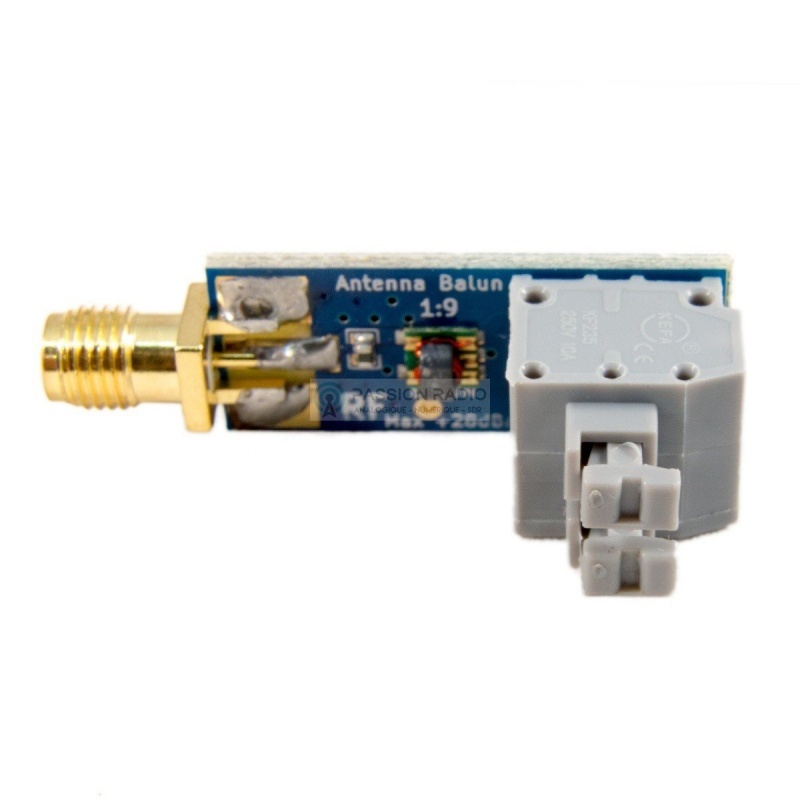 This balun is the perfect accessory to connect a long wire antenna, for example with the converter HF SDR Ham it Up to listen shortwave and HF bands from 0.5 to 30Mhz, but this balun can work up to 90MHz. It has a high quality SMA female for connecting a coaxial cable, with protection against electrostatic discharge. Balun One Nine Nooelec includes an Antenna Guard varistor on input to protect your SDR equipment from spurious ESD. The ESD protection is excellent, it passes an 8kV contact discharge test with a response time of only 300ps. Very small, the balun 1:9 measures 39.2mm x 13mm (with connectors), light, with low insertion loss of -1.3dB (typical) and a maximum input power of + 28dBm. Comes with: 1 official 1: 9 balun Nooelec. Description: This balun is the perfect accessory to connect a long wire antenna, for example with the converter HF SDR Ham it Up to listen shortwave and HF bands from 0.5 to 30Mhz , but this balun can work up to 90MHz. It has a high quality SMA female for connecting a coaxial cable, with protection against electrostatic discharge. Balun One Nine Nooelec includes an Antenna Guard varistor on input to protect your SDR equipment from spurious ESD. The ESD protection is excellent, it passes an 8kV contact discharge test with a response time of only 300ps. 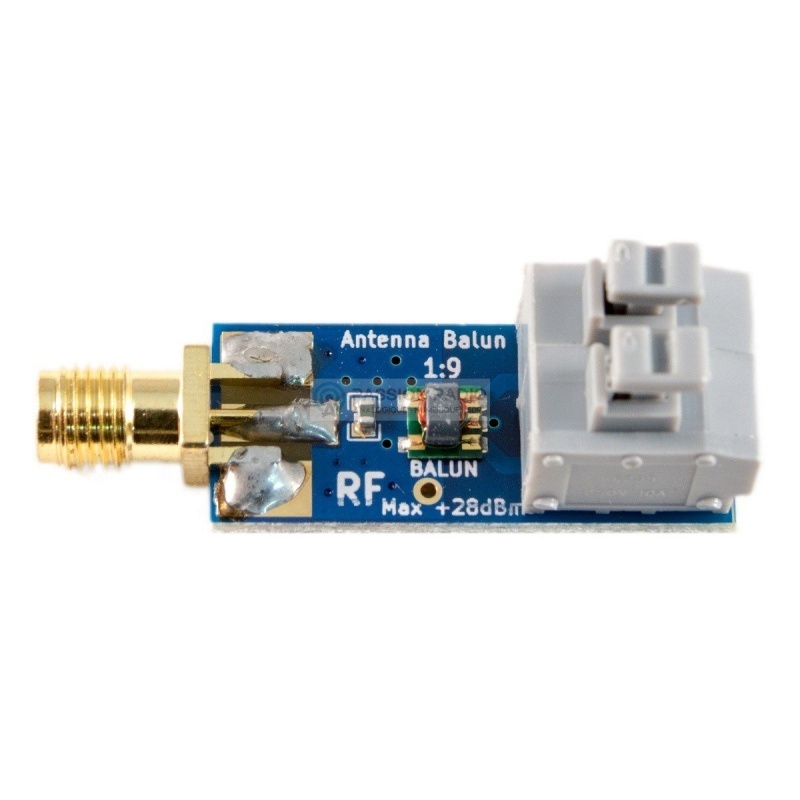 Very small, the balun 1:9 measures 39.2mm x 13mm (with connectors), light, with low insertion loss of -1.3dB (typical) and a maximum input power of + 28dBm . Comes with: 1 official 1: 9 balun Nooelec.